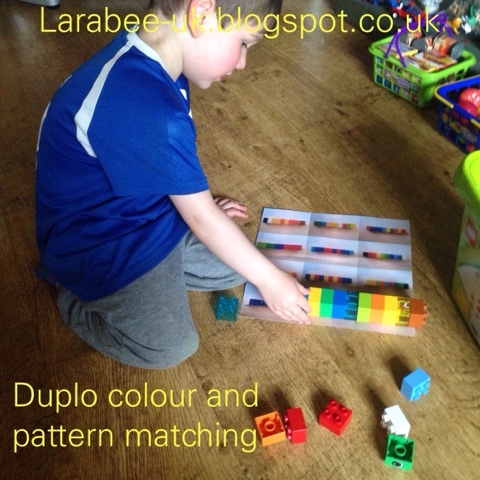 When we were at the doctors recently, they had a new tub of duplo for the children to play with, we had a 45 minute wait for the appointment and so we started to do some pattern and colour matching. I created a tower and T copied me. We were quite limited at the doctors, but he loved it. So decided to create a sheet of towers for T to copy. 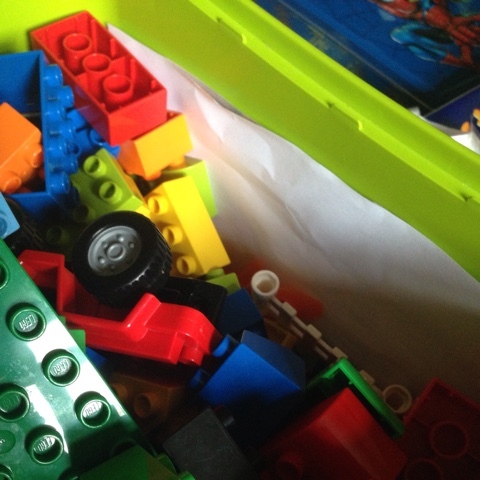 It wasn't long before T asked to do some of these again and so now we keep our sheet in the duplo box. Here's a closer look at those towers, I was really pleased with how this sheet turned out. I've stacked some of the colours to make it a little trickier for T, he actually enjoyed counting how many blocks are the same colour and choosing his colours before stacking them in the correct order. This is definitely something which I could have done with T before now, but he does seem to be enjoying it. 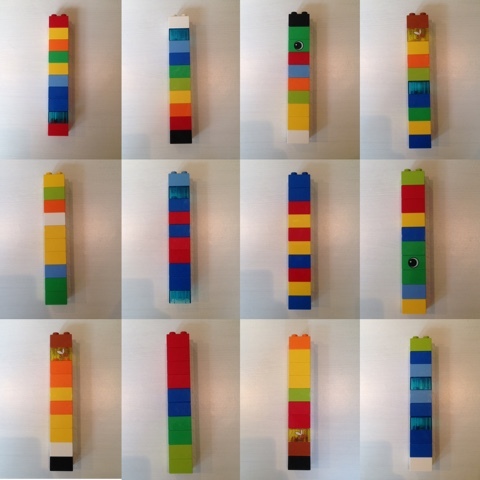 Obviously you may not have all of the blocks I used, like the bumble bee, eye and clear blue blocks but I've created a download for you in case you'd like it. Click the image above or click here to be able to download my file, this should be printed on A3 sized paper. My usual disclaimer - this is a very basic download, please do not expect high quality, it's designed for a busy parent or child carer to print quickly to provide a speedy and basic activity. Sounds like a really good idea. I might try something like this with my little boy. 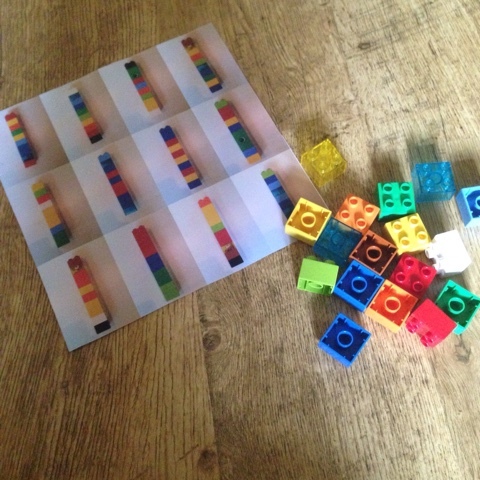 Start simple with say different sizes for counting and then move on to colours. Great tips and idea. Simple yet brilliant! And it saves me thinking show me the BLUE one, find me an ORANGE one, count me THREE blocks! So it can be semi independent! Great Idea! I keep meaning to do something similar with MegaBloks but as you can probably have guessed I haven't had time!! !